If each stain or odor on your car seats has a story to go with, consider it high time to get around to cleaning them. Driving a car with dirty seats can not only give you a bad rep but also make others cringe at the prospect of riding with you. 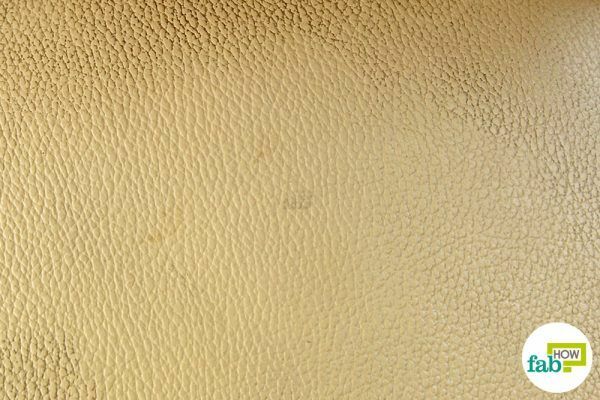 Even if there are no visible stains or odors on the seats, everyday sweat and grime can build up over time and make them dirtier than you realize. Vacuuming the seats is an important first step, but it only removes loose dirt and debris, not the set in grime. You may be apprehensive to clean your car seats if they’re made of leather. Indeed, leather demands certain care, but cleaning leather is not that difficult. With a little effort, you can clean your leather car seats on your own and without spending money on expensive leather cleaners. 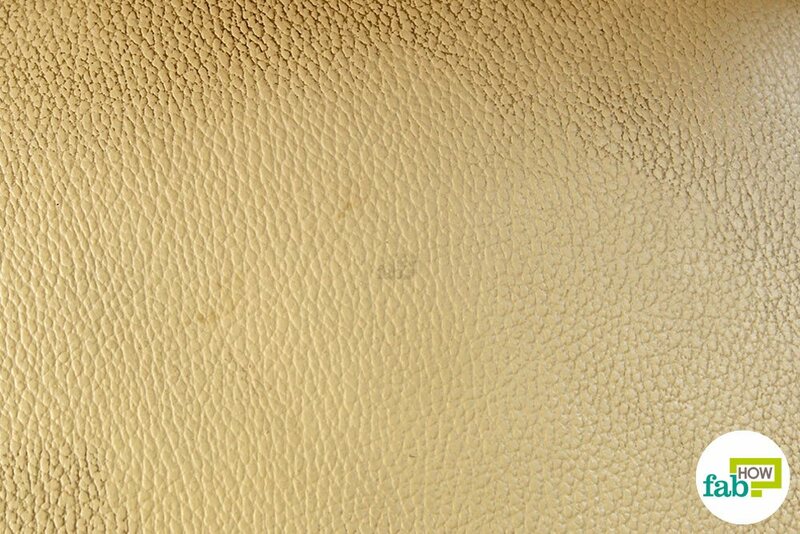 Moisturize the leather after cleaning to extend its life and shine. Using any of the seven methods below, you’ll be able to clean your leather car seats in no time. You can take your pick, depending on what common cleaning agents you have on hand. This DIY cleaner not only cleans the seats but also polishes the leather and gives it a nice shine. 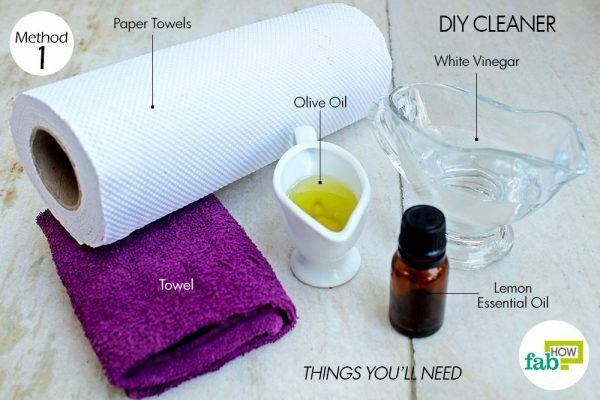 This simple cleaner contains 2 parts plain white vinegar and 1 part olive oil. 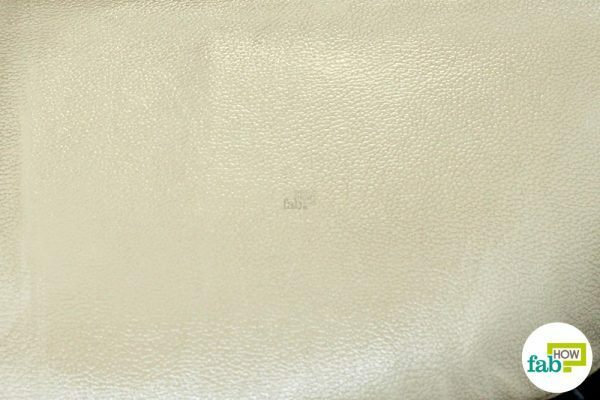 Vinegar is an all-purpose cleaner that works well on leather. 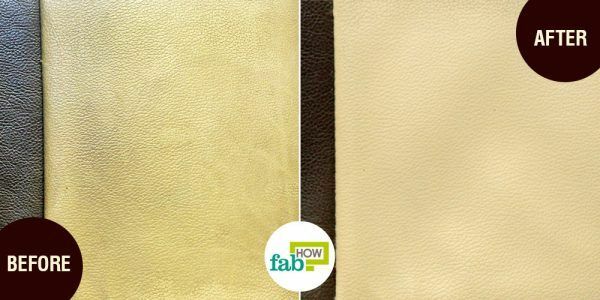 The olive oil, apart from polishing the leather, also helps dissolve old oil-based stains on the surface, which can then be cleaned with just vinegar. We also added lemon essential oil to this cleaner. 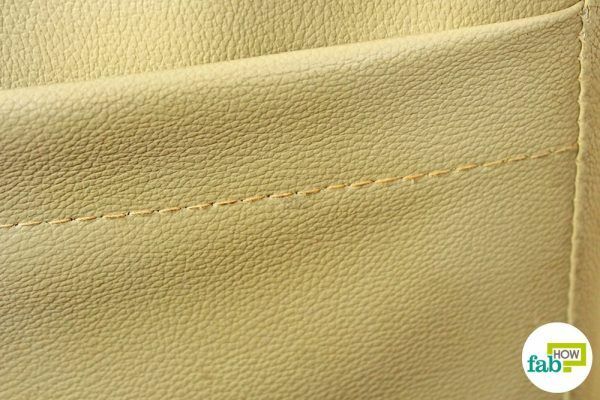 Lemon oil further aids the cleaning as well as freshens up the leather surface. 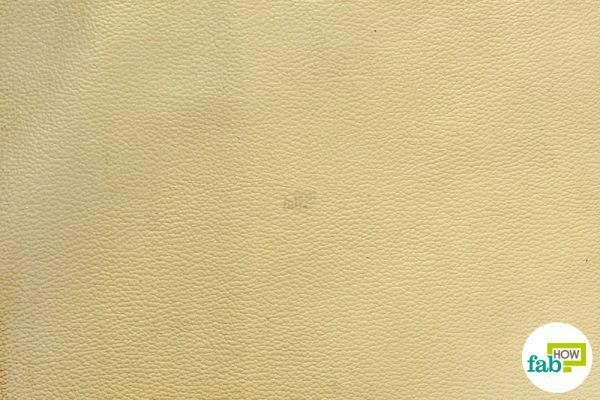 Since leather is essentially processed animal hide, the oils will also help moisturize and perk up the leather of your car seats. 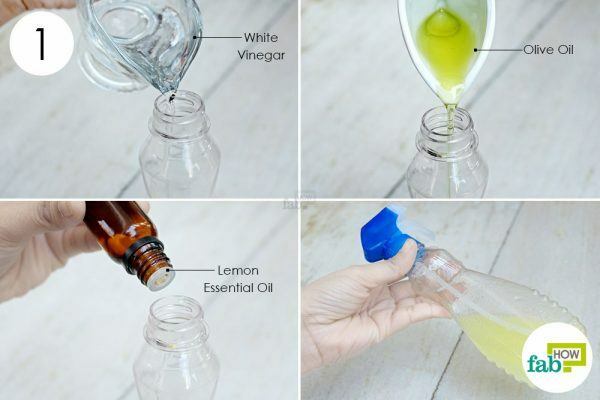 Pour ½ cup of white vinegar and ¼ cup of olive oil into a spray bottle. Add 8 to 10 drops of lemon essential oil to it. Screw the spray nozzle back on. Give it a few shakes to mix the ingredients thoroughly. The solution may foam a little. Spray the DIY cleaner on the dirty leather surface. Rub it into the surface with a thin towel. You’ll notice the dirt transferring from the car seat to the towel. 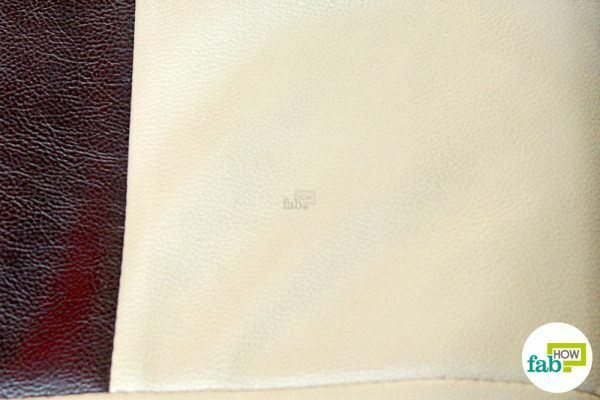 Clean the entire surface of the leather seats with the spray cleaner and the towel. Once your car seats become entirely clean, wipe off any excess spray cleaner with paper towels. Take your car out for a spin and enjoy your handiwork sitting on the clean car seats. 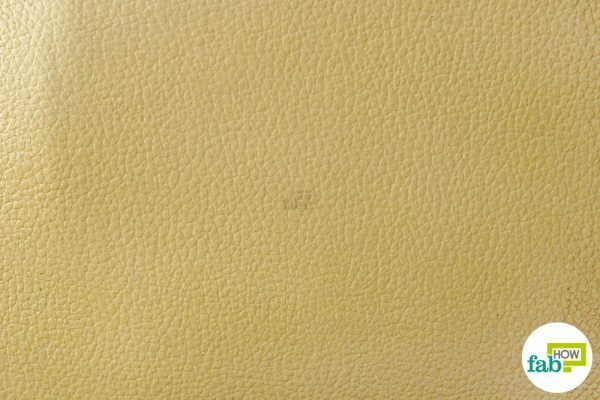 Vinegar is by far the best household cleaner that you can use to clean leather, as it won’t damage the leather surface. 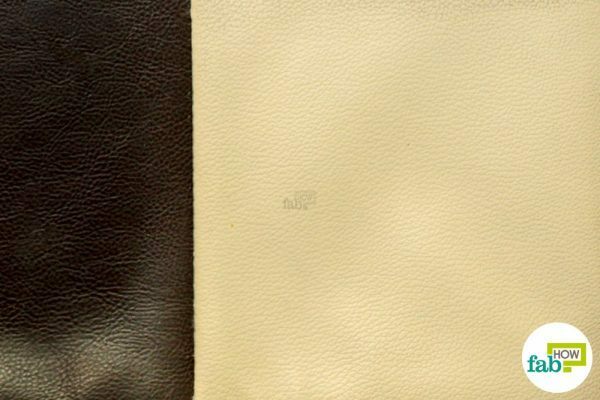 Leather is acidic and has a pH level between 4.5 and 5.0, whereas conventional household cleaners are alkaline and hence are unsuitable for cleaning leather. 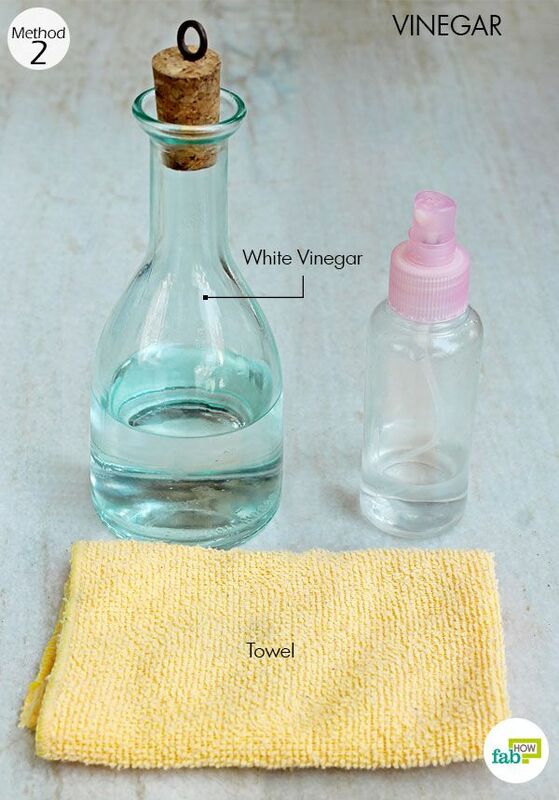 Vinegar is also simple to use, cost-effective and easy to get your hands on. As a bonus, it will also deodorize your car seats. Fill one-fourth of a spray bottle with plain water. 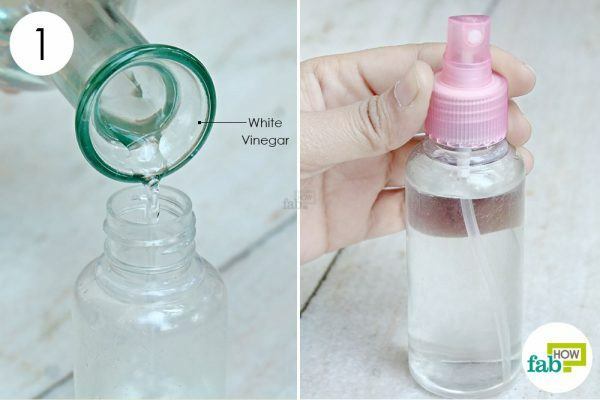 Fill the remaining three-fourths with white vinegar. Close the spray bottle and give it a couple of shakes. Spray the diluted vinegar on the car seats. Wipe with a towel to remove the grime from the leather surface. 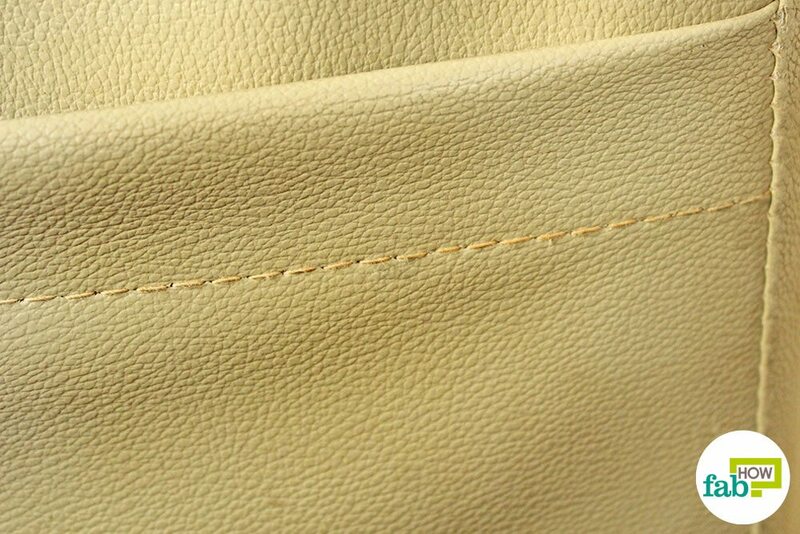 Clean the entire surface of the leather seats, paying attention also to the folds and the stitches of the seat. Using dish soap is another easy way to clean leather car seats. A diluted dish soap solution will tackle a variety of old stains and cut through the accumulated grime and sweat on the seats. You can use a microfiber glove to further aid you in the cleaning process. 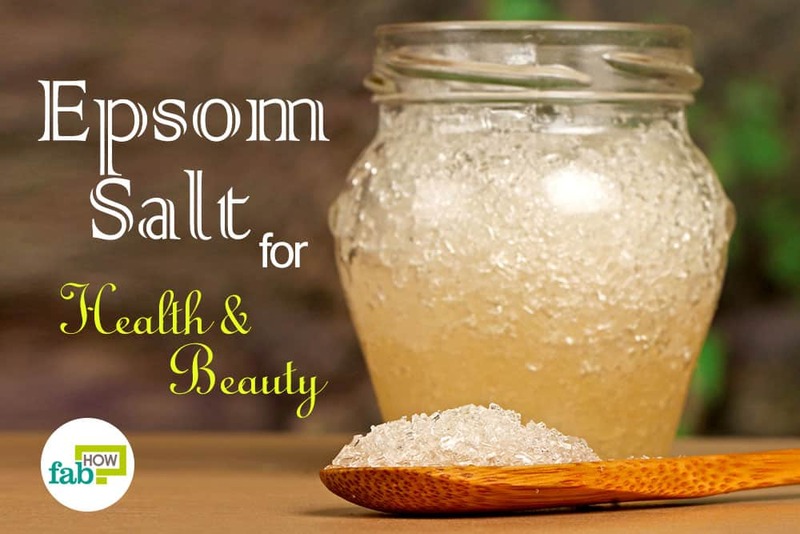 Add 1 teaspoon of liquid dish soap to it. Put the spray nozzle back on. Give the bottle a few shakes to dissolve the dish soap completely into the water. Spray the soap solution on the dirty car seats. Wipe it off with a microfiber glove. The microfiber glove will readily pick up the grime loosened with the soap. Once your car seats are clean, wipe off any excess moisture with some paper towels. The only drawback of cleaning your car seats with toothpaste is that it’s quite messy. Just put a little on an old toothbrush and brush away! Generic white toothpaste is very good at lifting stains without damaging the surface. You can even remove ink stains from leather with toothpaste. Toothpaste contains extremely fine abrasives designed to remove plaque from your teeth. 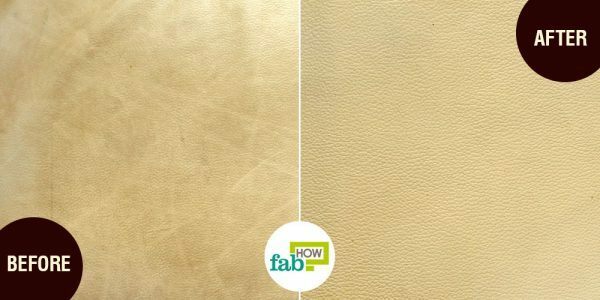 These abrasives come in handy when cleaning the detail on leather surfaces. 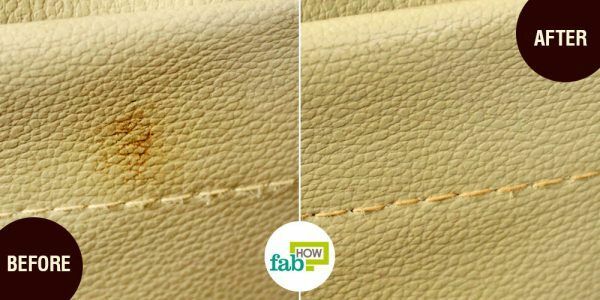 If you have scuff marks on your cherished car seats, you can also buff them out with toothpaste. Furthermore, toothpaste works as a deodorizer and can eliminate old smells baked into the car seats. Squirt some toothpaste on an old toothbrush. Brush the dirty surface of the car seats with the toothpaste. 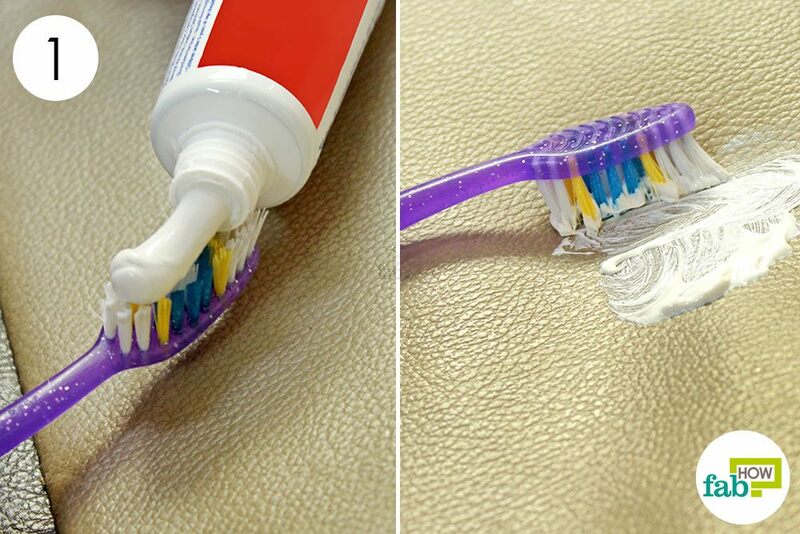 Spread the toothpaste over the entire surface, carefully brushing over any stains. 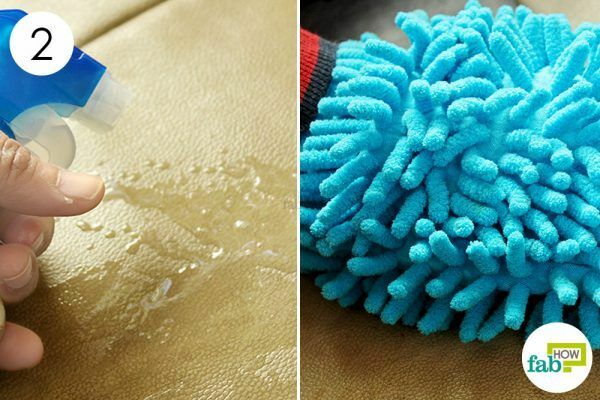 Once the seats are brushed clean, slightly dampen a folded paper towel with water. Be careful not to make it too wet and soggy, as that will create a mess. Wipe up the toothpaste with the damp paper towel. 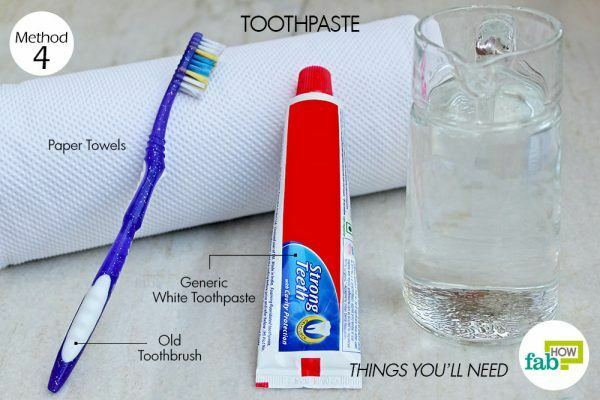 Use as many paper towels as you need to completely remove the toothpaste. If you find some stains or dirt spots remaining on the seats, go over them again with the toothbrush and a little paste, and wipe it off when you’re done. Wipe off any residual moisture on the seats with fresh paper towels until the seats are completely dry. 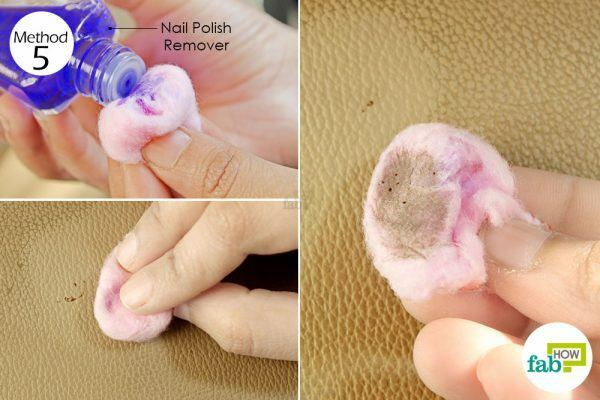 Nail polish remover can also be used to clean your car seats in a pinch, especially if you’ve spilled some colorful food or beverage that you know is going to stain badly. 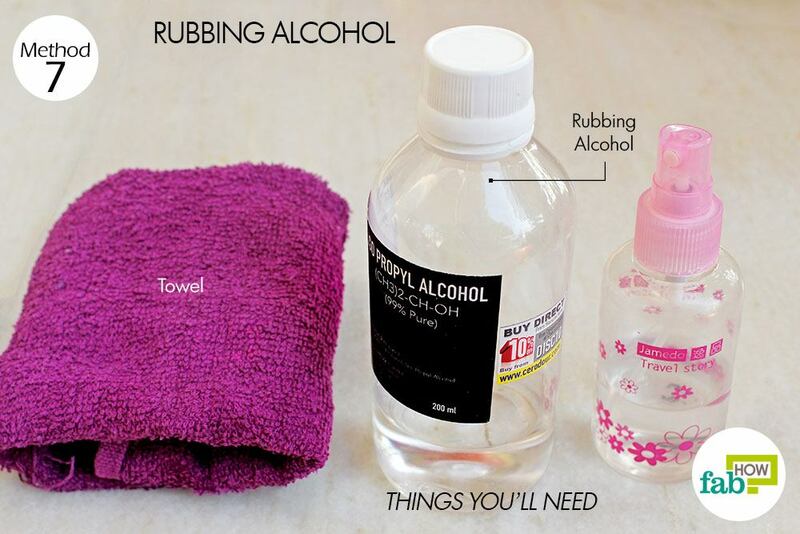 This method works due to the acetone in the nail polish remover, so it won’t work if you only have acetone-free remover on hand. Remember the way acetone can completely dry out your skin and you end up moisturizing it for days? Similarly, pure acetone will be too harsh for any leather surface and therefore should not be used. Nail polish remover, on the other hand, has a small amount of acetone in it and can be effectively used for spot removal. However, always perform a spot test in an inconspicuous area of a seat before cleaning them with nail polish remover. Wet a cotton ball with some acetone-based nail polish remover. Rub it on the stain until it’s completely gone. If vinegar doesn’t cut through the grime on your car seats, it’s time to take out the big guns. A mix of lemon juice and cream of tartar can remove the most stubborn grime from your car seats. It works especially well for protein-based stains like blood and other bodily fluids, eggs, dairy products, baby formula or mud. Since this combo has a bleaching effect, only use it if your car seats are light-colored. Avoid using it on dark-colored upholstery, as it can actually lighten the color of the fabric. To be on the safe side, perform a spot test in an inconspicuous area of a seat before proceeding with this method. 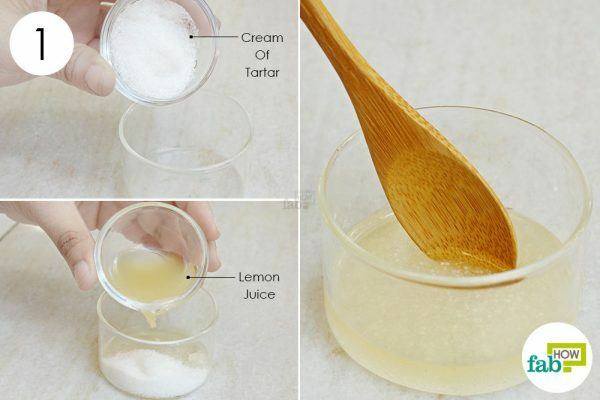 Measure some cream of tartar into a bowl. 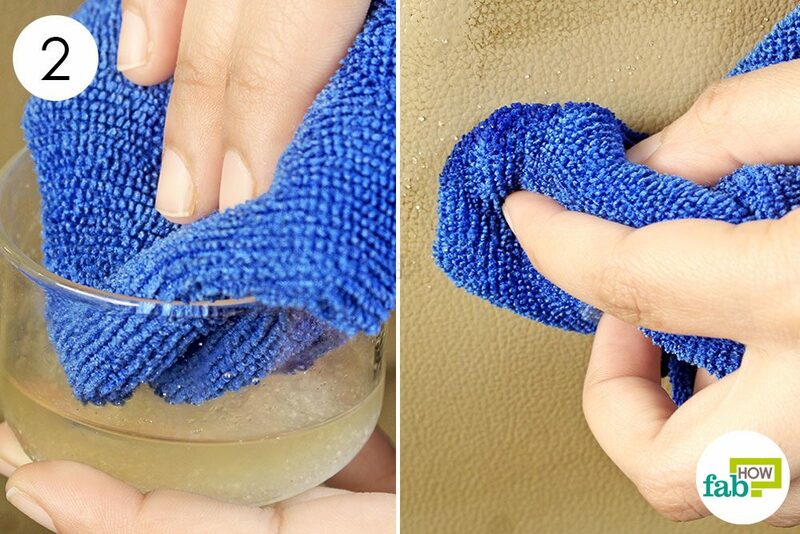 Dip an end of a towel into the cleaning paste and scrub the dirty car seats with it. You’ll notice that the grime readily comes off. 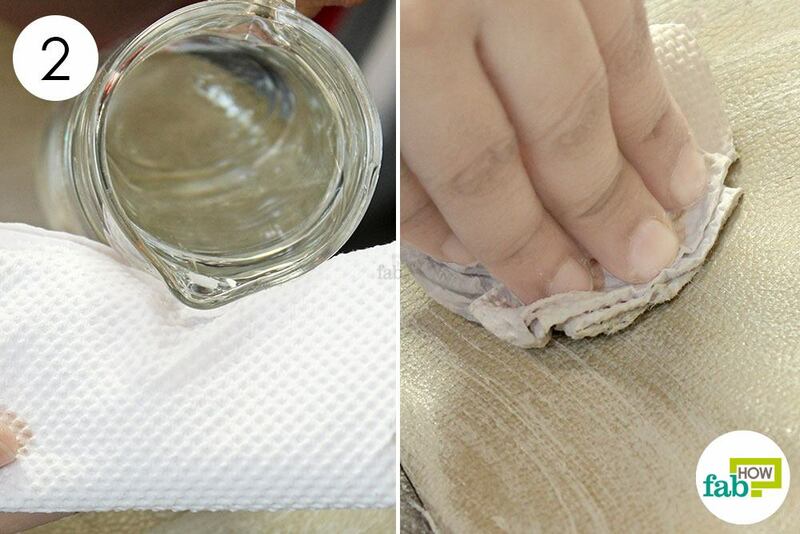 For stubborn stains, apply a little paste and let it sit for a few minutes before scrubbing the stains clean. Dampen a folded paper towel with a little water. 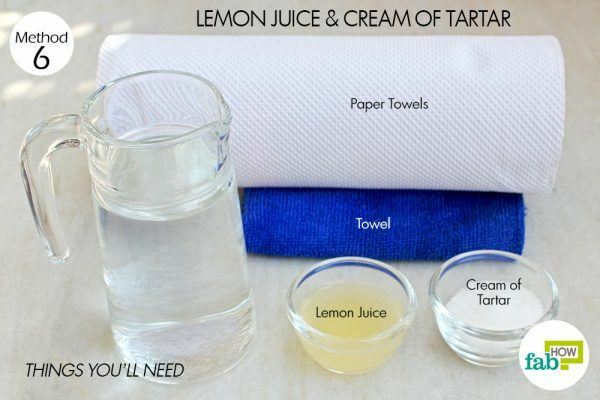 Wipe the tartar-lemon paste off the car seats completely with damp paper towels. Wipe off any excess moisture and let the seats dry. Rubbing alcohol is especially good for removing mold and mildew stains and can come in handy if you’re working on the interior of a used car or a hand-me-down. 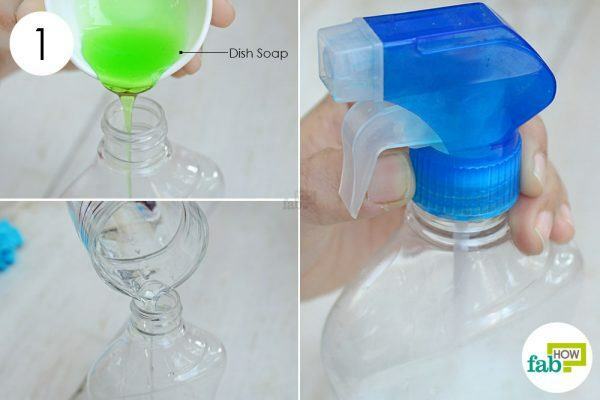 Fill a spray bottle halfway with water. Put the spray nozzle back on and give it a couple of shakes. 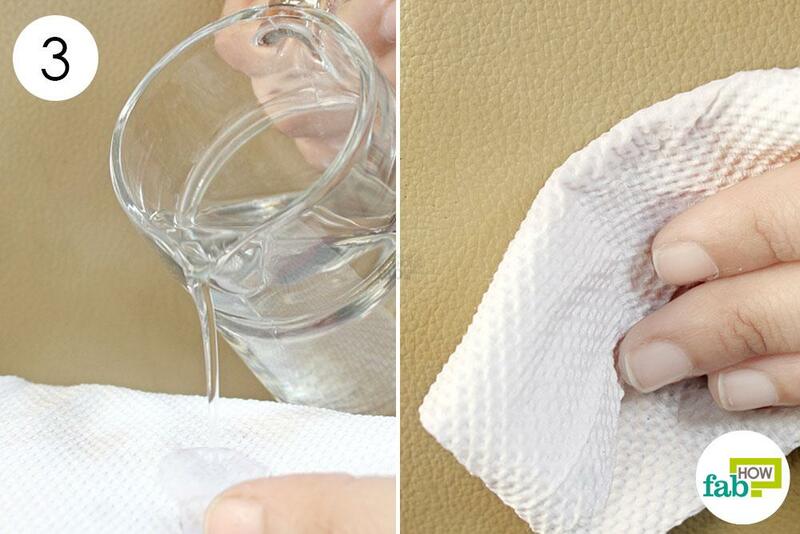 Spray the diluted rubbing alcohol on the dirty car seat. 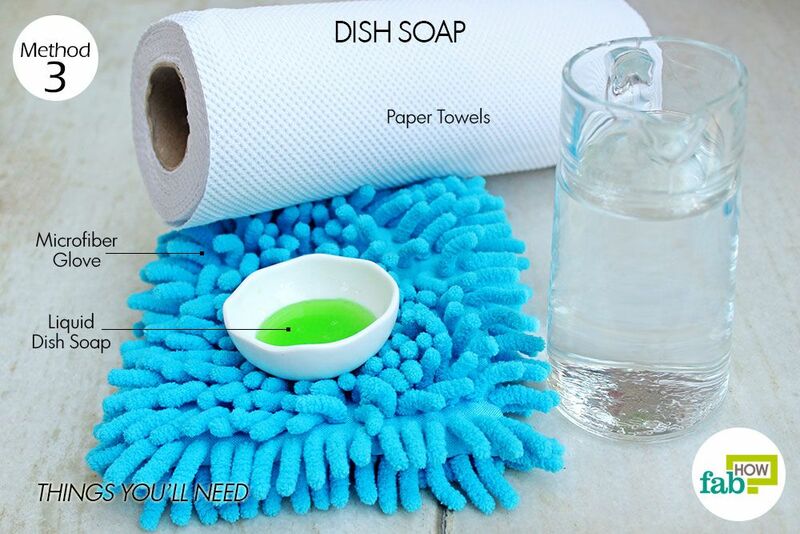 Wipe it down with a towel to readily cut through the grime. Repeat over the entire surface of all the seats. 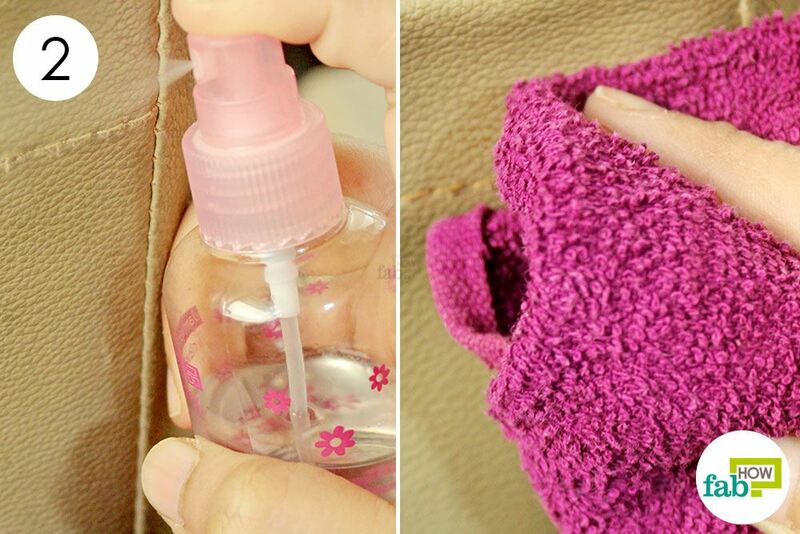 For stubborn stains, let the spray sit for a few seconds before scrubbing it with the towel. Always do a spot test in an inconspicuous area before using anything to clean your leather car seats. 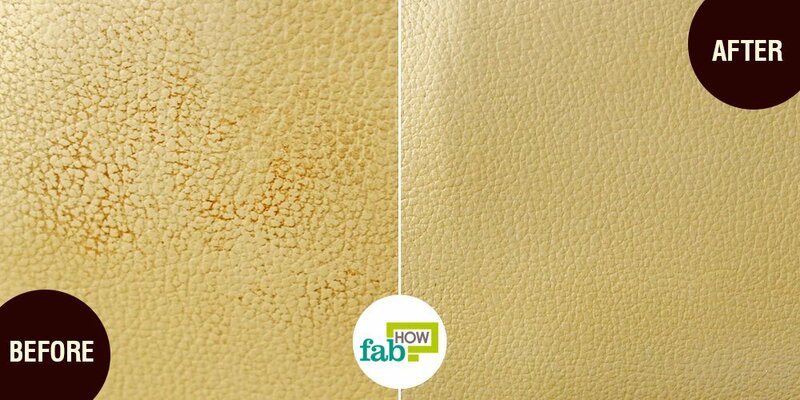 If a cleaning agent doesn’t agree with the leather, try something else. Vacuum the car seats to remove loose dirt and debris before using any cleaner. Let the seats dry completely before using the car again. Open the windows to air out your car and remove the smell of vinegar or other cleaning agents. If the toothpaste feels too dry while brushing the seats, you can add a couple drops of water to foam it up. Be careful not to make it too wet though, as it will make a mess. Instead of liquid nail polish remover, you can use nail polish remover pads to spot clean your car seats. If you don’t have cream of tartar, you can use citric acid as a substitute. 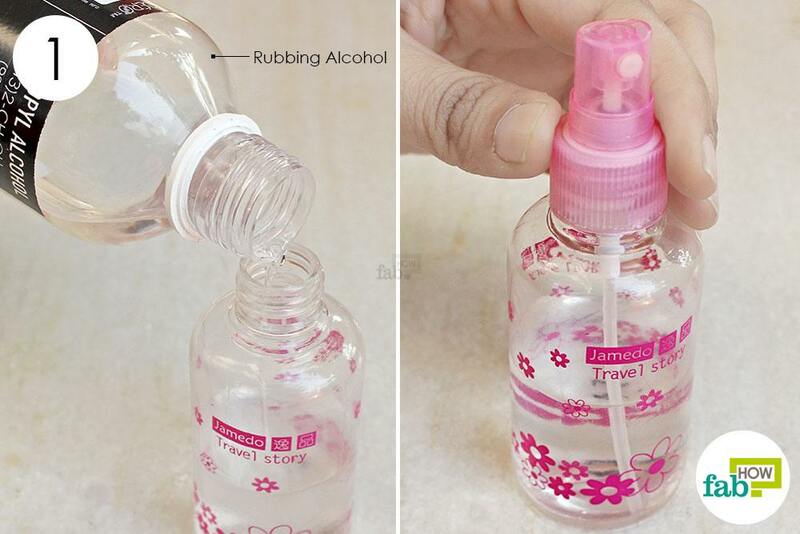 Use a funnel to pour liquids into spray bottles to prevent any spills. 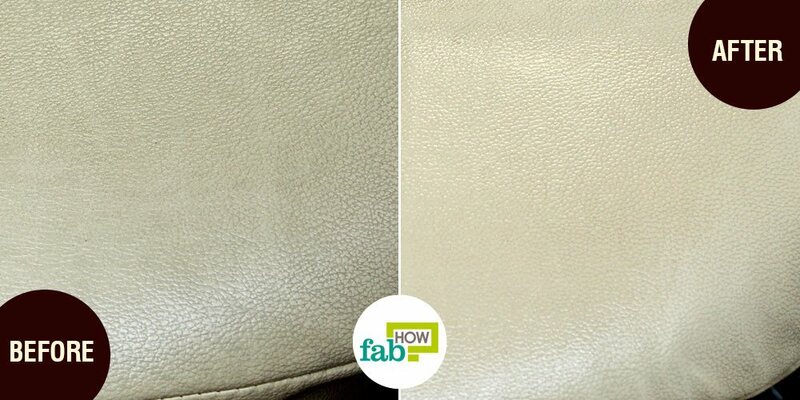 Never oversaturate your leather seats with cleaning sprays or solutions. You can use hair spray to get ink stains out of your car seats. Ammonia can also remove protein-based stains like blood, eggs and mud.